On the night of Sunday, October 1, 2017 when a gunman opened fire on a crowd of concertgoers at the Route 91 Harvest Music Festival from Mandalay Bay on the Las Vegas Strip in Nevada, leaving 58 people dead and 851 injured. Since then we have not seen what is officially our nation's largest mass shooting to date in major headlines? Why is that? What revelations have actually been made in the case? What answers do we have as of now and what questions remain to be answered? Join the Dudes n ... See More Beer podcast LIVE on Tuesday June 12th as we welcome the return of Michael Cargill, host of Come and Talk It and owner of Central Texas Gun Works, whom originally covered the story with us, as well as former guest and survivor of the Route 91 Music Festival shooting Shannon R Caffey to discuss the latest developments in the case as well as new revelations seemingly devoid in the mainstream media. All this and more in special episode of the Dudes n Beer podcast. 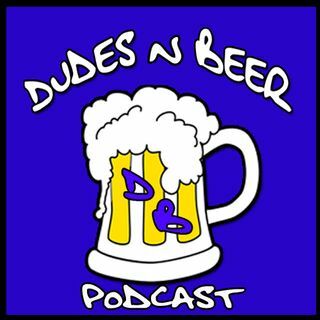 Download the FREE Dudes n Beer Podcast app for Android and iDevices or visit our LISTEN LIVE page and join the conversation every week.